Today, having that smooth, shiny and straighter hair can be achieved through a certain hair treatment at any salon, but will cost you a lot, and the worse , give a negative effect on continuous process. 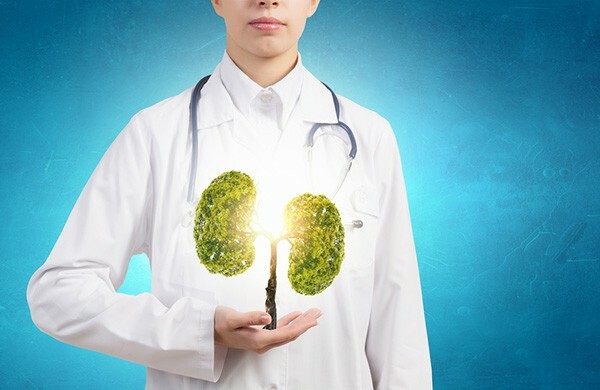 Our lungs are vital organs that play a crucial role in our body - they are responsible for bringing in oxygen and expelling carbon dioxide, as well. Now that you know that this organ is very important and constantly working, it is our duty to make sure that they are in the best condition. But, if you're already confident that your lungs are in perfectly good condition and doesn't need any help, well, think again! In addition, when we inhale air, we are also absorbing the polluted surroundings - environment toxins, bacteria, and the like which can cling to the lining of our lungs. When this happens, it can trigger various respiratory problems that may complicate your health. For this reason, we need to learn how to cleanse our lungs naturally without any help from harmful chemicals and restore it back from its former glory. If you are wondering how will you be able to expel those harmful toxins clinging to your lungs, you might want to try these steps out. * Practice deep breathing. Deep breathing actually teaches your lungs to expand more while at the same time strengthen the muscles for better function. First, lie on your back on the floor with your hands placed on your stomach below your ribcage. Close your eyes as you inhale deeply for the count of five. Hold your breath for 2 seconds then release the air in your lungs slowly until you reach five counts. Repeat this 9 to 10 times per session. * Quit smoking. Another way for you to cleanse your lungs is to quit smoking. Just imagine how much chemicals you are actually delivering into your body every time you smoke. Once you kick this habit, you will find that you’re breathing much better and that you’re also less susceptible to respiratory problems too. * Oregano. You can also use oregano to cleanse your lungs because this herb contains carvacrol as well as terpenes which are known to aid in lung cleansing. It is also known for its abilities to minimize inflammation, boost airflow in the nasal passages, remove congestion in the lungs, and a whole lot more. If you are suffering from asthma or any other respiratory issues, simply drink two cups of oregano tea. In order to detoxify your lungs, try adding a couple of drops of oregano oil to your glass of milk and drink it. * Peppermint. If you are aiming for stronger and healthier lungs, chew 3 to 5 peppermint leaves every day. Congestion sufferers can boil some water then add a few drops of peppermint oil before inhaling the steam. This will help clear up any blockages in your nasal passages. * Green tea. You can also opt for green tea when it comes to cleansing your lungs because it contains antioxidants that can remove toxins absorbed through your lungs while at the same time, boost your immune system for further protection. These are just a few examples on how you will be able to purify your lungs so that they will be able to function at 100%. If you feel that your lungs need that extra help, don’t afraid to try these steps out. 9 Facts That You Need To Know About Bananas! You Will Surely Surprised! Bananas are tasty and very healthy. Bananas are rich in vitamins and minerals. It also has alot of health benefits. Eating banana can cure kidney cancer, depression, osteoporosis, blindness, diabetes and morning sickness. 1. Bananas are filled with dietary fiber that helps improve digestion. With this, it can also fight constipation and make bowel movement easier. 2. It also helps regulate the blood sugar which is good for diabetic people. 3. Banana can also prevent calcium deficiency, improve the mineral absorption and strengthen the bones and health. 4. Bananas contains with potassium which improves the brain function and also improves reasoning and cognitive ability. 5. Banana also helps avoid kidney cancer and kidney stones by encouraging the body's calcium absorption. 6. 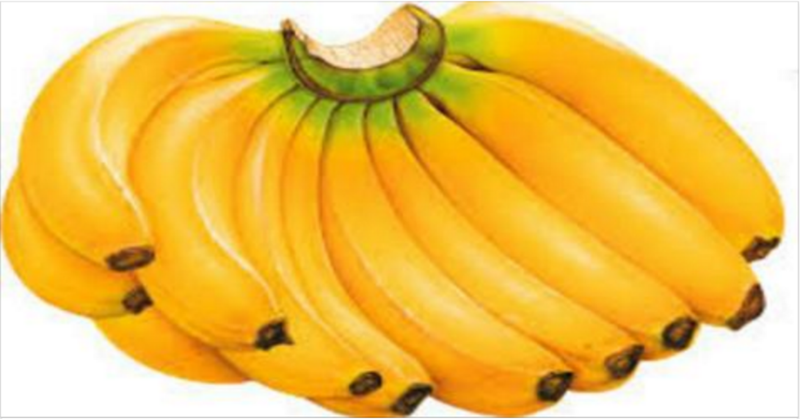 Bananas contains high amount of iron that improves the blood quality that fights off anemia. 7. Banana boosts up energy. Before exercising, consume a banana or two to have enough stamina. 8. Banana contains low sodium and rich in potassium that helps protect people from stroke and heart attacks. 9. Bananas is filled tryptophan content that transforms into serotonin in the body which controls the mood that treats depression. Having problems of dark underarms? We’ve got the solution for you and it’s totally natural! Nowadays, cosmetic issues such as having dark underarms are a common problem many people face. This may be due to a result of shaving, or regular use of hair removing creams, excessive sweating, and poor underarm ventilation, or an accumulation of dead skin cells, alcohol-based deodorants and antiperspirants. Dark underarms can also indicate a medical condition known as Acanthosis Nigricans, linked to insulin resistance, obesity, or hormonal disorders, certain medications and cancer. Fortunately, there is a better option for treating this unwanted skin condition – through a natural remedy! This kind of remedies will help you acquire white underarms without any bad side effects depending on your skin type or preferred choice. 1. Potatoes – Rub a thin slice of potato in your underarms. You can also grate the potato and apply its juice to dark areas. Allow your arms to dry for 15 to 20 minutes and then rinse with lukewarm water. Repeat this twice a day and allow the potato’s bleaching properties do their trick! 2. 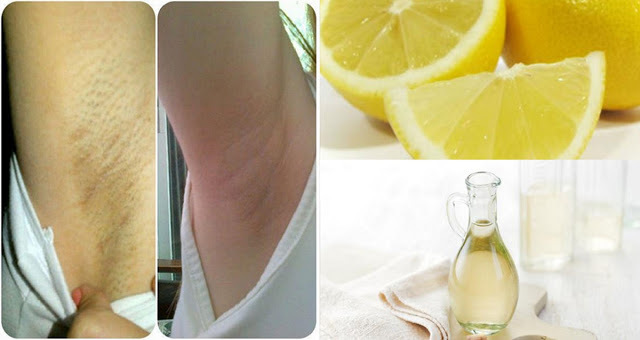 Lemon – Rub a lemon onto your skin and leave it to rest for several minutes. Wash it off after 10 minutes. Apply a moisturizer afterwards, because lemons could irritate your skin. 3. Baking Soda – Mix baking soda and water until you get a thick paste. Scrub your underarms, then wash the paste off and let it dry. Do this several times a week. The odor of your underarms can be neutralized by baking soda and cornstarch. 4. Vinegar – Mix flour and vinegar until you get a thick paste. Rub the paste on your underarms and allow it to dry 10 to 15 min. Rinse with warm water. Do this procedure several times a week. 5. 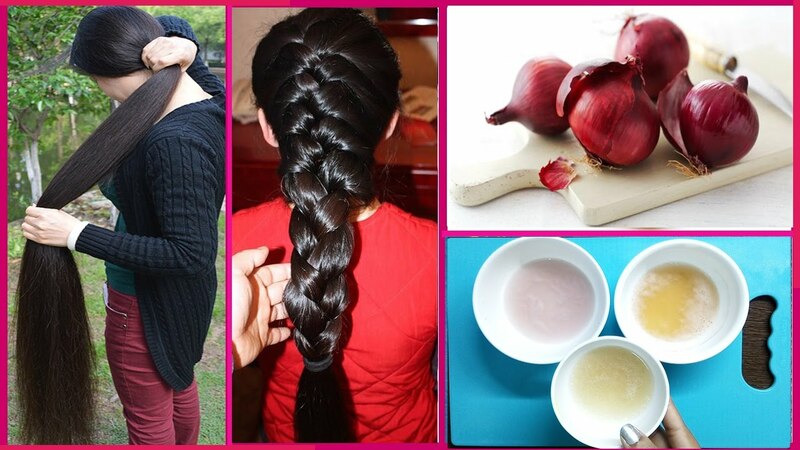 Coconut oil – This oil is rich in vitamins. Put some coconut oil on your underarms before showering, massage the area 5-10 minutes, and wash it off with warm water and soap. Repeat this every day until you get visible results. • Try waxing instead of shaving your underarms. If you shave, you’re at risk of developing ingrown hairs that generate dark underarm appearance. Waxing makes the complete hair to come out of the follicle. • Use coconut oil instead of shaving cream, because it leaves your skin feeling smooth and soft. • Exfoliate your underarms once a week to prevent the buildup of dead skin cells. • Use natural antiperspirants to control sweating and keep your underarms smell good. We cannot deny that we’ve used fabric softeners even just once in our life. We are attracted to what it sells – fabric softener ads give the sense of illusion of comfort, sweetness and freshness. Although, we have been caught, line and sinker for buying and using it – we are most probably dismissing the facts that these products contain numerous toxins and chemicals, which can enter the body through the skin and by inhalation that can lead to a long list of health problems, especially young children are more prone to acquiring diseases. The fabric softeners are dosed with chemicals and a hefty dose of fragrance that are hard to remove and cling to every surface of fabric or piece of clothing; the scent stays on for a long period of time, too. This is known as “fragrance substantivity,” which describes how a long a fragrance lasts on a particular surface and how it is affected by temperature, humidity and other conditions. Alpha Terpineol – this is a toxic chemical, which can cause many health problems, such as; dizziness, headaches, hunger, memory loss, numbness in face, pain in neck and spine. It is a common occurrence for everybody to be shaving their body of hair to be hygienic. But, what happened to this woman almost cost her, her life. On the 2012 of May, 44 year-old and a mother of 3, Dana Sedgewick, had the idea of trimming her bikini line with the use of a new razor following her routine, so she did. Eventually, she encountered a small bleeding pimple on her groin but didn’t think much of it. A few days have passed when her eldest daughter, Megan, found her mother lying in bed with her legs looking horrendous and covered in a bloody, red rash. The cause of this was due to the small pimple that has developed into necrotizing fasciitis, a flesh-eating infection. She was immediately brought to the hospital and got treatment. Doctors’ diagnosis was a condition wherein the bacteria release toxins that attack the surrounding soft tissue that can be caused by a minor cut or scratch. She was rushed into the hospital to get immediate treatment. Doctors diagnosed her with the condition causing bacteria to release toxins that attack the surrounding soft tissue. It can be caused by a minor cut or scratch. 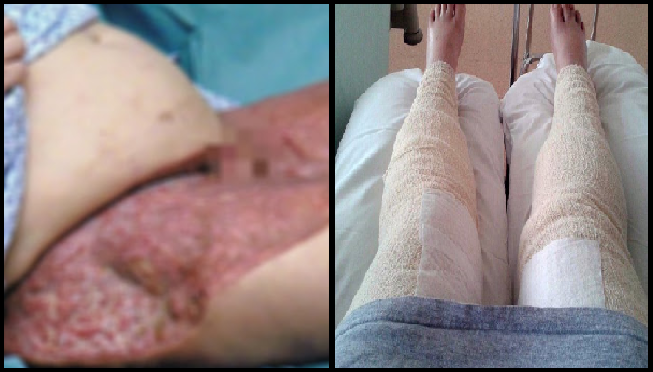 She went into surgery for 10 hours to save her legs. Doctors cut through seven inches of infected skin and removed the diseased flesh and reapplied skin from her back. Despite the surgery, Dana developed sepsis which gave her 30% of surviving. Her kidneys failed and her heart stopped four times. Finally, after waiting for excruciating moments, the surgery was successful. But, Dana’s legs had to be covered with bandages. She thought she suffered from a car accident when she later on realized she wasn’t but instead accidentally cut her groin while shaving. When it was time to remove the bandage, Dana was shocked and traumatized to see what happened to her legs. Dana is now fully recovered with the help of her doctors who did their best to save her and family who never left her side. Her story is a warning to those who shaved and ignored the small pimple. It might be small but it can cause your life. SHE IS 51 YEAR OLD , BUT LOOK LIKE 20. 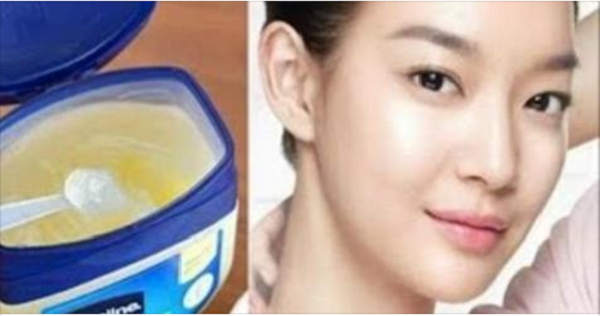 HER ANTI AGEING SECRET IS VERY SIMPLE YET AFFORDABLE INGREDIENT! "Secret to look younger than your actual age"
Yamada Keiko is already 51 years old but she looks like 20. She haven't had plastic surgery, it is only in natural way. Yamada Keiko is a Japanese Artist who has the title "The Most Beautiful Natural Skin Make-up." Yamada don't foods like: Pickles, Bubble gums, Popcorn, Ajinomoto(MSG), 3 in 1 Coffee, Sugar, Instant Noodles, Fried Foods and Other snacks. She eats alot of vegetable to become healthier. Also even in winter or hot summer, she do water replenishment repeatedly. She uses toner and emulsion alternately and massage her face. Happy smile and good mood also one of the reason. She uses a natural mask that makes her face younger. 1. Cook the rice and keep the water used. 2. Add the hot milk and honey in the rice and mix them together. 3. Clean your face and apply the mask. 4. When the mask is dry, peel it off and wash your face with the rice water. 1. It make the blood flow well and antioxidant protection. 2. It makes your skin soft. 3. It also impacts inflammation and hydrates skin damage. NOTE: Use this mask once a week and see the results in a month or two.